Hey guys it Andrea here. 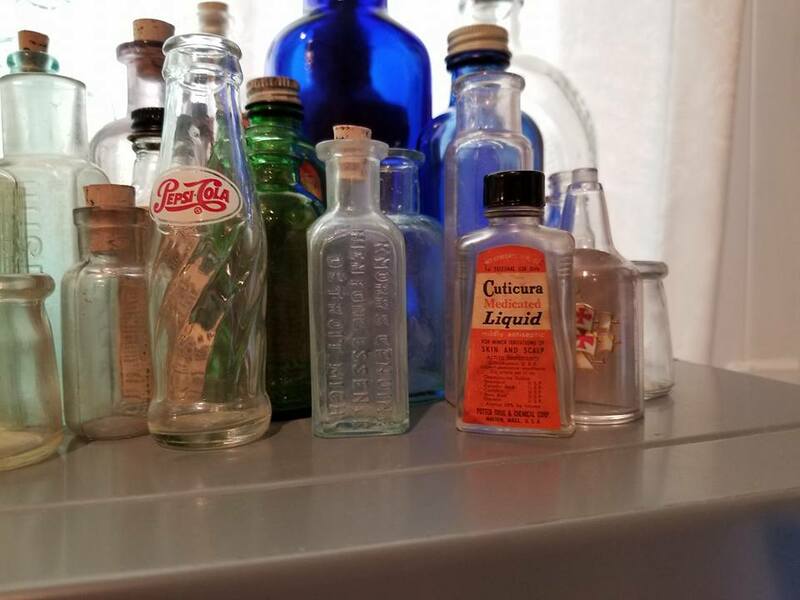 I was recently cruising the Facebook yard sale sites and came across this lady selling some antique bottles for way less than they were worth. They were beautiful bottles that had the genie bottle design. I had to talk to her about them and see if she knew any information on the bottles themselves. She didn’t, but was able to talk to me about some of the markings on the bottles. 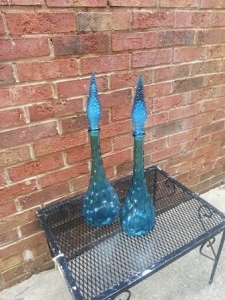 I never saw them in person but from what she said these were antique bottles that were of Italian origin. I advised her to do some research before she sold them to anyone. There are often times we have things in our possession that are worth more than we realize. I strongly advise people to do a little research before selling their “dust collectors” as she called them. I love these Italian bottles and if you have never seen one please check them out. These are some that I found on Etsy for $110 dollars. Now there can be some that are knock offs and if you find these $10 or any price you choose because you like them is acceptable. 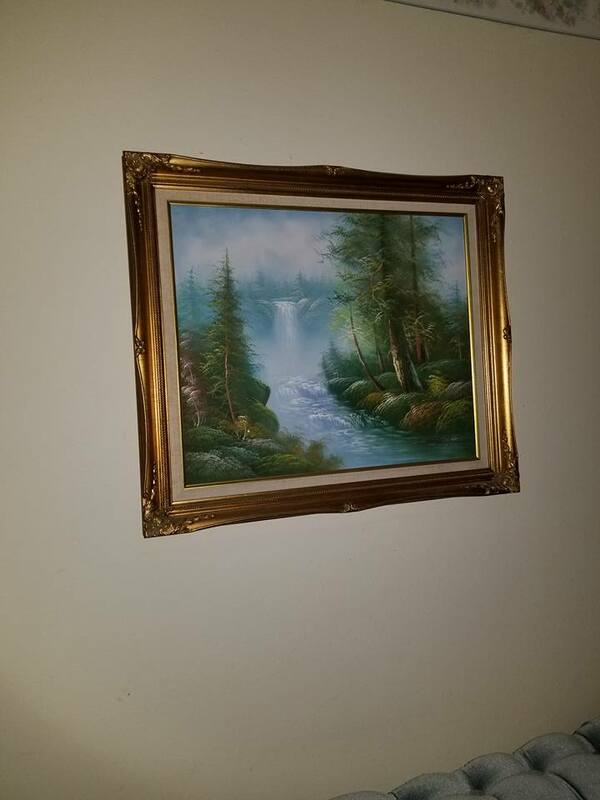 If they have markings or are the antique bottles, you want to look into this a little more and make sure you are not selling off an expensive antique. There are several other types of collectible bottles. I love medicine bottles myself. I don’t know if any you have seen these but I think they are so much fun. I have been a nurse for nearly two decades and have a fascination with old medical things. Medicine bottles are fun and easy to find. They are the bottles that had elixirs and concoctions in them to cure whatever was ailing a person. It usually would have some sort of alcohol base. I think these bottles are cool and can be pretty when put in the right part of the house so they collect the light too. 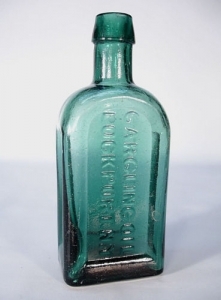 This bottle says gargling oil and is for sale currently on Ebay. I love these and they can be fun pieces to have guests talk about when they visit you. Hope everyone has a good week and check out some fun collectibles for yourself! Remember to give us a call if you are needing help with a sale, or even if you are needing help cleaning out before the holidays we can help you take care of things.